Bring back old memories and create new ones with a smooth Lucille's Bloody Mary. 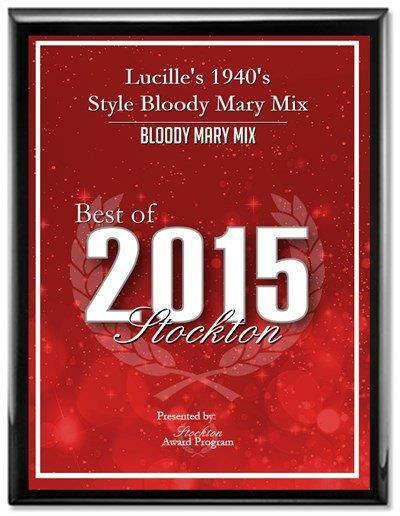 You can count on our Lucille's Bloody Mary Mix dry spice blend to mix an authentic 1940s style Bloody Mary every time. 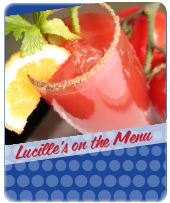 Lucille's at brunch, Lucille's after lunch, Lucille's at your next get together - she's the life of the party! Three flavors give you cocktail options from mild to wild, with 100% natural dried herbs, no MSG, and a dash of sea salt. 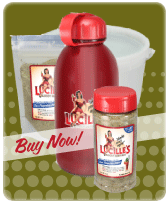 Add spice to your cooking too - Lucille's is equally at home in the kitchen and on the barbecue. 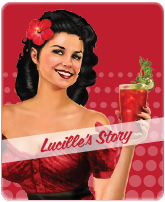 Take Lucille’s home – or take her out and show her off in your restaurant or bar. Order up a Lucille’s Bloody Mary at an establishment near you, or buy our mix locally to make your own cocktails. I Love the Bloody Mary mix! Congratulations on a wonderful blend. It is so versatile. 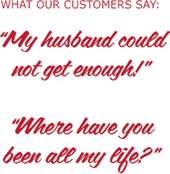 It’s a drink and compelling balance in my spaghetti sauce!!! 🙂 I look forward to incorporating this into one of my dishes and testing the waters! Thanks again! Great work and continued success!